In the past years, the chou has become THE trendy pastry : Pouchkinette by café Pouchkine, l’Eclair de Génie by Christophe Adam, Odette, Popelini … The chou is the new macaron ! 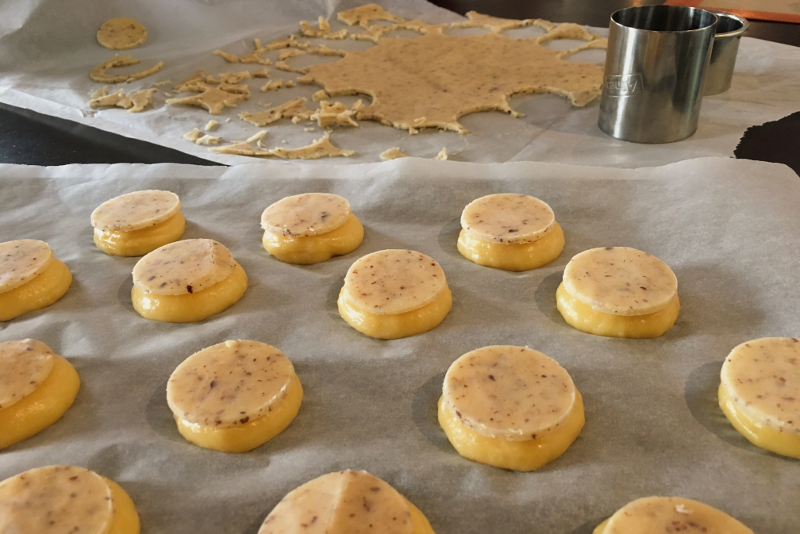 This basic pastry dough can be used to make number of delights from choux pastry appetizers to yummy desserts. 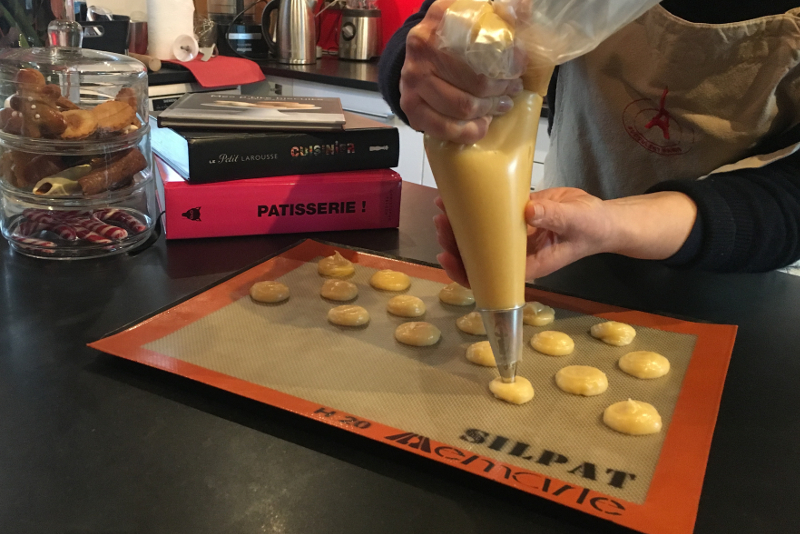 In the friendly atmosphere of a Parisian apartment, learn to make delicious choux from scratch. 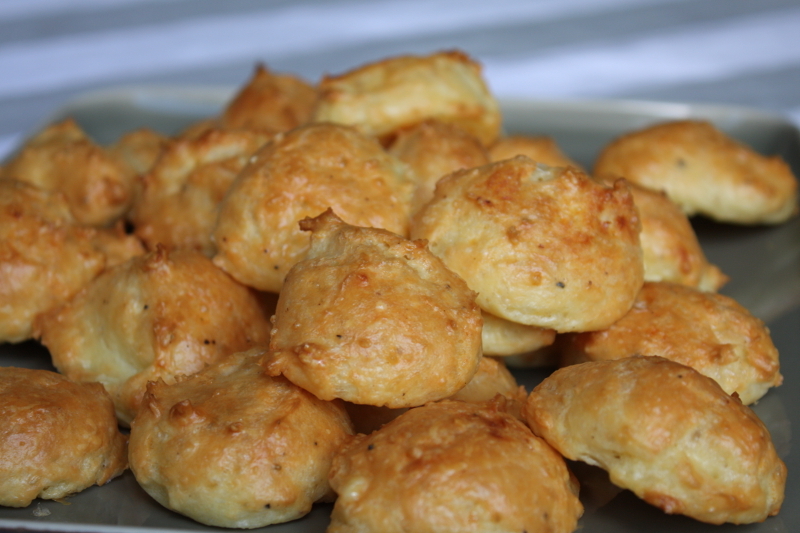 gougères, a speciality from Burgandy region: chou with cheese. cream puff topped with a crunchy crumble and filled with chocolate or vanilla cream or with whipped cream and fruits. Learn form Aurélie & Marion all the tips to succeed in baking light and airy choux at home. 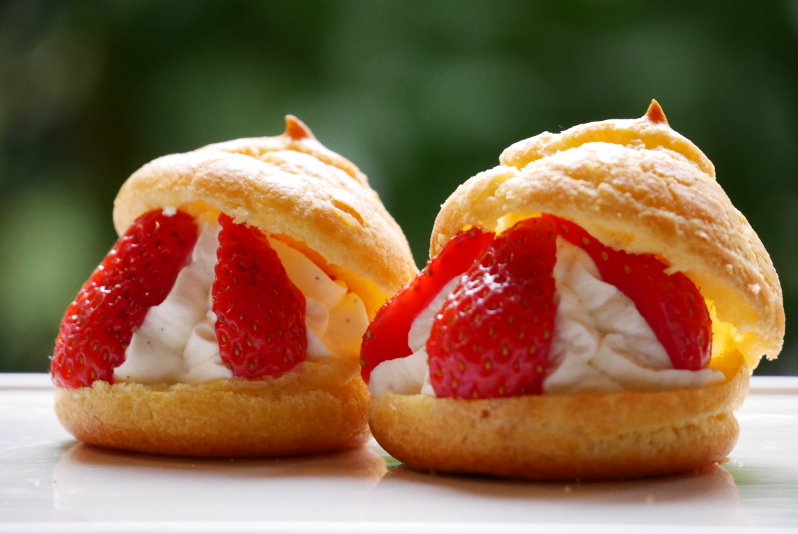 After cooking, taste your choux with a beverage while chatting with your hostess. Of course, you take away the fruits of your labour with the recipes.